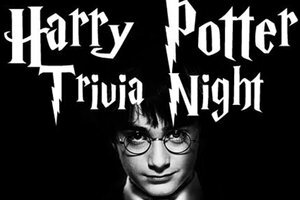 Welcome all wizards and join us as we test your knowledge of Harry Potter. Bring your wand or speak to our apprentice from Ollivander's Wand Shop. Then make your way to Honeydukes to buy some butterbeer and sweets. Then gear up as the houses battle it out to see who knows the most from the movies and books. We will have bonus rounds of Name that Spell and test your knowledge of who said what. So many surprises are in store. You do not want to miss this adventure. Come dressed in your Hogwarts finest!